Lady Gaga’s tour operators, Live Nation, announced February 14, 2013 that she would be cancelling the remainder of her tour due to a hip injury. You may not know one single song that Lady Gaga sings (I don’t), so why, you are thinking, should I be interested in this news? As a physical therapist for women’s health, the headline immediately got my attention. And because hip labral injury diagnosis is on the increase, you should be interested too. Farther down in the CNN article the tour company clarifies Lady Gaga’s injury as a right hip labral tear. This injury may sound like a routine orthopaedic diagnosis and surgery, but it is anything but routine. Diagnosis of a hip labral tear is a relatively new ability in the medical field. Suzuki (1986) described acetabular labrum tear arthroscopically for first time in 1986. 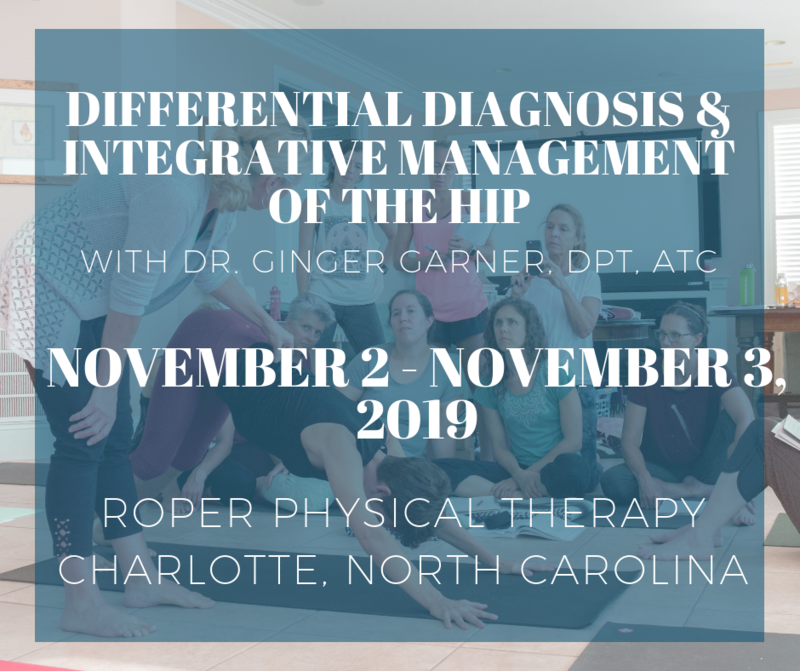 However, a paucity of studies exists on hip disorders, and as late as 2011 (Plante et al) there is no clear consensus on diagnosis or terminology. Lady Gaga obviously has a high energy routine that requires specific high intensity repetitive movements. Unfortunately those movements are what commonly lead to hip labral injuries. She is fortunate that her labral tear was caught early. Most athletes are not that lucky. The average length of time from injury to diagnosis of a hip labral tear is 2 ½ years (Groh and Herrera 2009). By that time, much more damage, including permanent damage to cartilage and bone, could occur. Athletes of any age are at risk for labral tears, but specifically those who participate in ballet or dance or at highest risk (44%). Soccer players, runners, golfers, gymnasts, and martial arts and yoga enthusiasts are also at risk. Not often discussed is the possibility of damage to the hip labrum during childbirth, due to extreme positioning of the hips and legs during birth. Movements such as twisting, rotation, and extreme range of motion in any direction can cause labral tears. However, girls and women are at particularly high risk if they have pre-existing conditions like femoral torsion, hip laxity (instability), femoral-acetabular impingement, or hip dysplasia. W-sitting in children can contribute to femoral torsion, and so should be discouraged in pre-school and school aged children. Aging hips can be at higher risk as well, although generally these labral injuries are non-symptomatic and do not interfere with quality of life. As with Lady Gaga’s case though, hip labral injuries in the young and athletic are devastating and painful. Diagnosing Lady Gaga’s injury is particularly complex, since her doctor must consider a host of other possible injuries, including loose bodies in the hip, hip snapping, tears of the ligamentum teres, and a many possibilities for extra-articular (outside the hip joint) injuries. How Do I Know If I Have A Hip Labral Tear? Diagnosis of a hip labral tear is often a diagnosis of exclusion. Meaning, many other injuries and problems have to be ruled out first. A few of those were mentioned above, however multiple researchers have identified approximately 17 other hip diagnoses that must be considered before diagnosing a hip labral tear. A physical therapist or orthopedist specializing in the hip will be able to evaluate you to determine if you could have a possible labral tear. What If I Am a Dancer, Gymnast, or other high level athlete at risk for labral tears? If you fall under one of those “high-risk” athletes, there are some important things you can do to prevent injury to your hip. First, a physical therapist can screen your hip and pelvis for common bony and soft tissue malformations and weaknesses that can contribute to hip injuries, specifically labral tears. A physical therapist is an expert trained in musculoskeleltal and neuromuscular evaluation and management. They will look at hip stability, control, and mobility, as well as any genetic or developmental predisposition. If they identify any problems, they can design a program to help prevent injury and put you in your best physical form possible. As a physical therapist specializing in integrative medicine, I help patients aspire to not only their best physical shape, but also their best energetic and emotional state as well. I do this through combining yoga with physical therapy, in a method called Medical Therapeutic Yoga. What Would Happen If I Just Keep on Dancing? If Lada Gaga ignored her hip pain, as she claimed she originally did, then she is at risk of damaging her hip beyond repair. If a labral tear is present, forces through the hip joint increase by up to 92% (Ferguson et al 2000). Hip instability occurs, and bursitis and tendonitis can also increase pain and disability. If a hip injury, like a labral tear, is left untreated, it can cause the patient to damage their hip joint to the point that they end up needing a hip replacement. Hip replacements are not a substitute for early intervention, since recipients cannot fully return to activity or sport after having one. The earlier you seek treatment for hip pain, the better chance you have of preserving your hip joint. In Lady Gaga’s case, she is lucky her labral tear was diagnosed early. 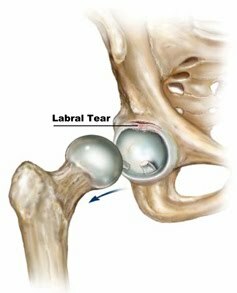 The best outcome for Lady Gaga is that her injury is limited to a hip labral tear – with no evidence of chondral (bony) damage. When any osteoarthritis or bony damage has set in, the likelihood of a good outcome is drastically reduced. If you think you may have a labral tear or hip injury, or if you just have hip pain and want to know what you can do to make it better, see your local physical therapist and orthopaedist. Working together, they make a great team to get you back on your feet, back to work, or back to activity or sport. As for Lady Gaga, she will be on the mend for quite some time, whether she has a labral repair or excision. Any hip surgery does require “strict down time,” as stated by her tour operator, which may even include time where walking is not even allowed. In addition to Lady Gaga’s down time, post-surgical plans should include dance medicine specialized physical therapy in order to get back on the stage – and in top form. It is unfortunate that Lady Gaga has sustained an injury from repetitive stress motions such as dance, but her condition can help others. Her high profile story is raising awareness of hip labral injury – what they are, and who is at risk. Hip labral tear injury and diagnosis is new in sport and dance medicine. Being aware of it can help prevent injury and intervene in hip injuries early – which is good for everyone. I feel your PAIN I also have a Labrel Tear in my right hip. Idid it at work and not shure what it was I have had it for three years toe months and counting .Although I litteralerly got screwed through Workmans comp but aftr a long PAINFUL years it will have sugery April (so sceard) finely Being from a Small Town and all go figure!!! Hoping this sugery will take the Pain away !! Baby that hip and take good care of it. Make sure you have physical therapy before and after the surgery. It will let you know what to strengthen and what to address before and after surgery. Make sure the therapist works with hips, specifically labral tears/intra-articular hip injury. Every PT has a different specialty. Good luck to you!